Join A Heart For Animals Inc. for a fun filled event! 3 rescues are benefitting from the proceeds of this event, including A Heart for Animals. 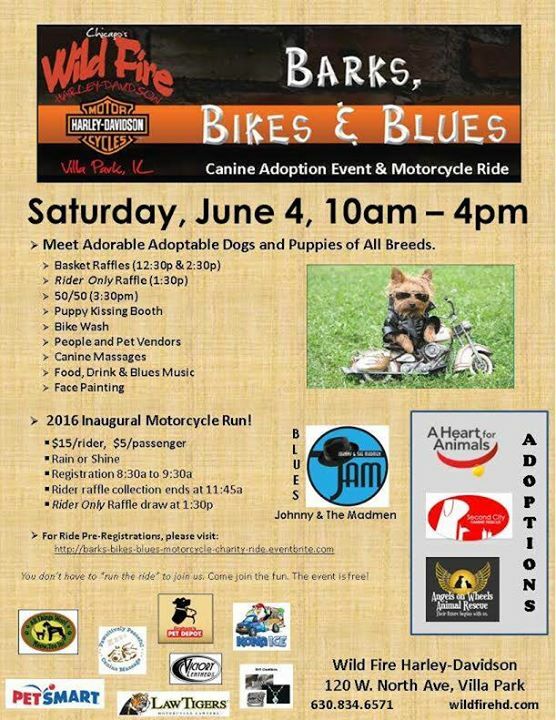 We will be onsite with adoptable dogs. Free food. Beer. Inaugural Bike Ride just $15 and $5 for passenger. 50/50, raffles and so much more! Something for everyone including face painting for the kids!